Eversesh is about a range of timeless product representing your most memorable runs, waves, skates and laughs you have embraced throughout your journeys. The company is built on a promise to bring fun and good times wherever you are and whatever you choose to ride. 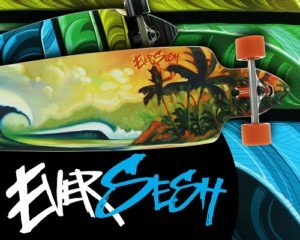 Each unique board features a different artist so make sure to check out the entire Eversesh selection!